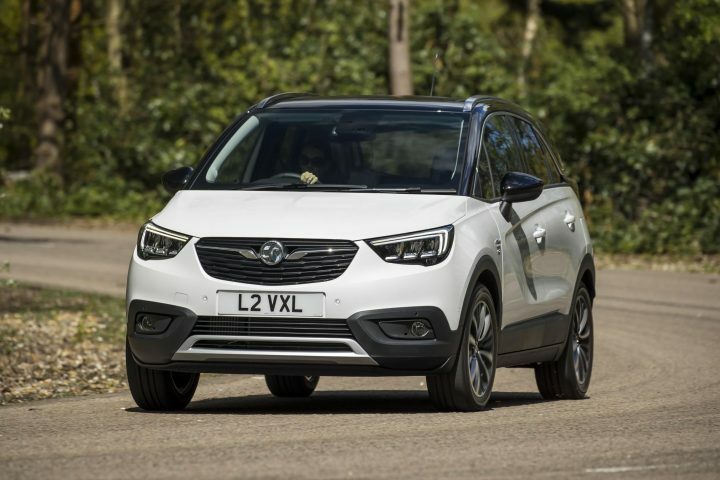 With a third of all new European sales going to the SUV market it’s a sector no car-maker can ignore and Vauxhall is going for it big and small time with its new models. 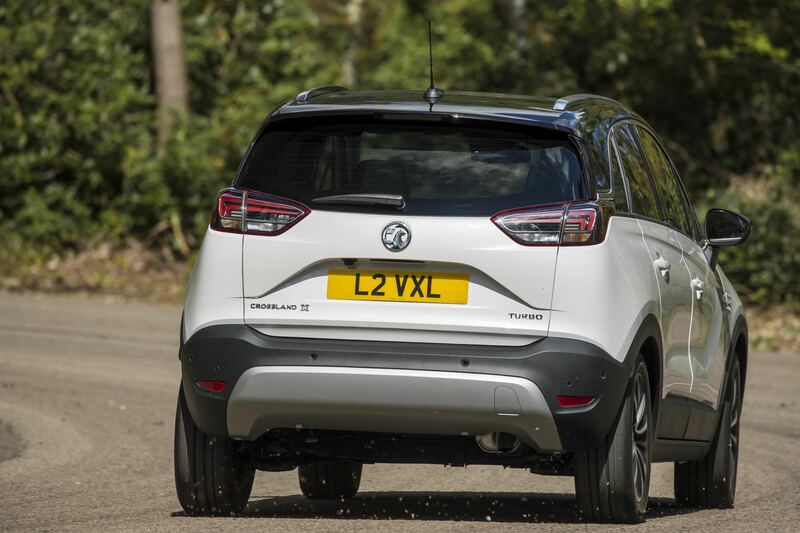 The Crossland X introduced as an urban SUV with front wheel drive only and with a low waistline and big windows to help navigate town traffic, while the luggage capacity is also more than a hatchback but not as much as its stablemate Mokka X. So it’s a compromise is some ways but that’s not to decry its ability to fulfill a multitude of rolls as a family carryall. We tested the less powerful model last year and have updated our records with this 130ps version of the stalwart 3cyl 1.2 litre engine now being shared between its creators and parent PSA Group and the UK arm of GM which the French parent bought out. 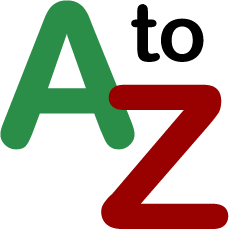 There is a 20-strong range in four trim levels with a choice of three-output 1.2 petrol engines and one diesel, all with a common five-door SUV styled body. Our model came with a versatility pack, parking assistance, winter pack and premium paint which increased the price by £2,005. The added if modest power increase to 130ps gives the Crossland X a useful turn of speed in urban traffic and makes it more relaxing on longer journeys, particularly cruising motorways. It also means you don’t have to work the six-speed gearbox as hard to maintain progress and that’s good for the overall economy and refinement. We nudged 40mpg at times and settled with a little less after a week’s motoring, and while it went well, the noise level from the triple-pot engine did intrude through the intermediate gears and higher revs..
Thankfully, the willingness of the engine, its long but progressive clutch action and the gearchange itself allied with the well balanced steering made easy work of any journey. It steered accurately and stopped sharply with a good brake for hillstarts but it was not the most ergonomically design grip. I generally liked the seats which did a good job at cushioning the hard springing I experienced and located occupants as it skipped around bends and never really embraced the surface. 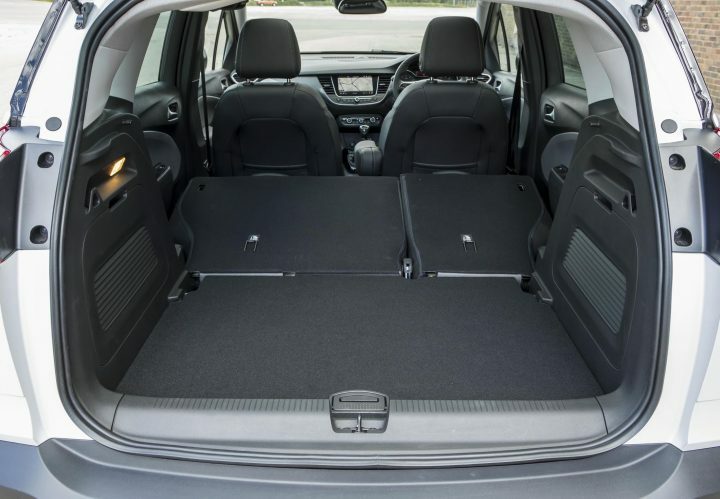 The optional versatility pack includes greater adjustment on the back three seats and is to be recommended for families in particular as the potential added legroom and carrying arrangements are a real advantage with their 40/20/40 layout. Secondary controls were the usual stalks and a few fascia switches, which worked well and were convenient, but much is now channeled through the big infotainment screen on the centre of the dash and that can be difficult to use with its sequential selection and sometimes unclear display in certain lighting conditions. 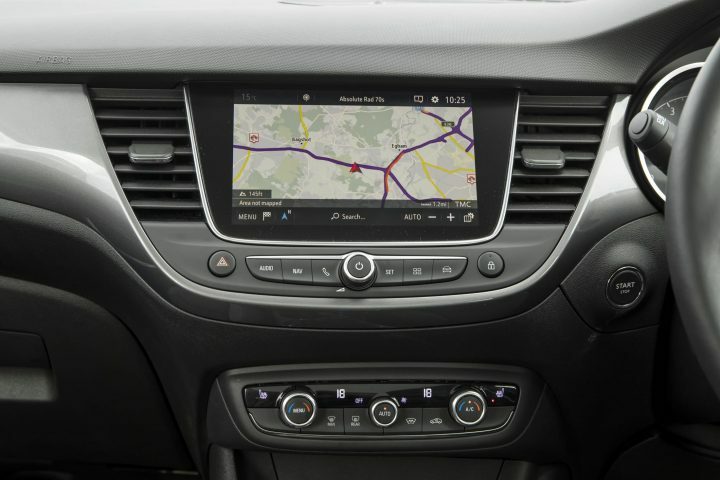 It also gets a useful head-up display for speed. Oddments room was good throughout and the bootspace a sensibly shaped space for bigger items. I liked the heating and ventilation settings, directional control and output for a car which is about the same size inside as the Peugeot 2008 platform upon which it’s based. The visibility is generally good as I wrote above but like so many in the SUV sector the high tail can hide people, posts and other things when reversing and you need sensors and camera as a matter of course. Forward vision was good with bright, long-range wide-spread LED beams and big wipers. 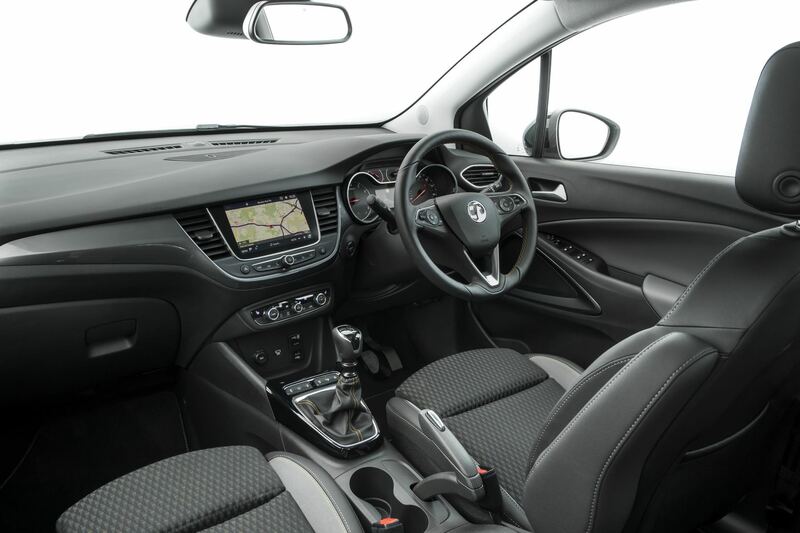 The Vauxhall Crossland X has a place in the range but I wonder how long it will continue as part of a group bulging with products which are probably its closest rivals. If it keeps selling well there is every chance it will continue and with the current boom in SUV business it can justify its existence on grounds of value and versatility. Against: Stiff ride, lots of road noise and engine note intruded at speed, rear vision obscured, excessive plastic finishes.